AirBridgeCargo Airlines (ABC) has been named ‘Best Performing Newcomer Full-freighter Cargo Airline’ in the BUD Annual Awards at a gala dinner in the Hungarian capital to honour airlines, service providers and retailers which have made the most significant contributions to Budapest Airport’s growth. Budapest Airport management hosted more than 300 guests at the event to express their personal appreciation to all the parties involved in the groundbreaking development of the airport, which achieved significant passenger and cargo business growth in 2018. 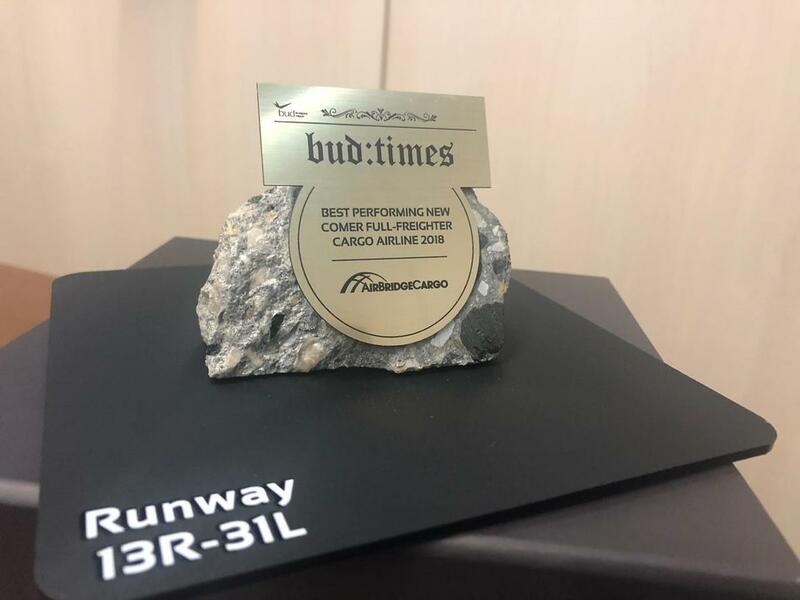 “We are excited to be among the BUD award winners for our input in the evolution and growth of the air cargo sector in Budapest. AirBridgeCargo launched bi-weekly operations to/from Ferenc Liszt International Airport six months ago and have already transported more than 2,500 tonnes of cargo, including special commodities requiring our precise attention, skills, and experience. We feel confident in our future at Budapest based on the strong support we are achieving from the local BUD community and the initial results of this new ABC network station, which is proving to be a welcome addition to our other 11 stations in Europe,” highlighted Andrey Andreev, Vice President for Europe at AirBridgeCargo Airlines. ABC connects the Hungarian capital with major markets in Asia, the USA and Russia, accommodating a wide range of cargoes, including temperature-sensitive, valuable, outsize and heavy shipments, and others. The company is set to continue its expansion based on the airport’s plans to bolster its cargo infrastructure.